Windows 10 Fall Creators Update -- what's in it for IT pros? As the latest update for Windows 10 begins its roll out, many professional users will be wondering about its impact and whether it will make their lives easier or harder. 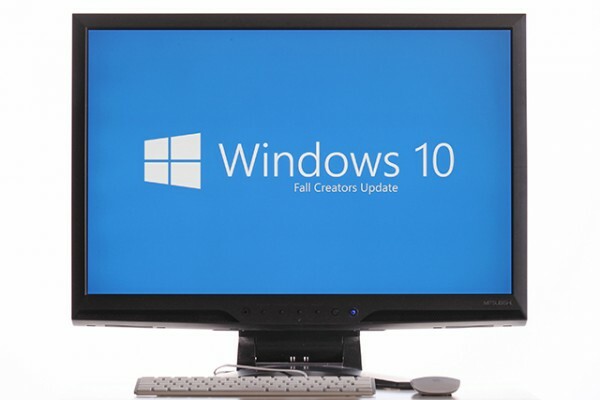 Fall Creators Update has a number of changes which should prove useful for IT pros including streamlined deployment, enhanced analytics and new security features. Admins can use the Windows Store for Business to set up AutoPilot deployment profiles so that when someone in the organization installs a new PC and attaches it to the company network, AutoPilot sets up Windows based on the profile settings assigned. There's also a new Subscription Activation feature that allows Windows 10 Enterprise to be deployed with no keys, based on a list of subscribed users. When a user on the list signs into a Windows 10 Pro device, Enterprise features are automatically enabled. Mobile Device Management (MDM) is expanded too. An Automatic Redeployment feature makes it possible to quickly remove personal files, apps and settings and set the machine back to its original profile state. Windows Update for Business also allows greater control over when updates get deployed. Security enhancements include expansion of Windows Defender ATP with powerful analytics, security stack integration, and centralized management for better detection, prevention, investigation, response, and management. Application Guard isolates malware and threats, and Exploit Guard delivers intrusion prevention. Windows Hello is also enhanced with multi-factor unlocking and location detection. Windows Analytics give greater insight into the status of devices and there's an Upgrade Readiness tool that provides information on driver and compatibility issues. A Device Health tool identifies devices and drivers that crash frequently, allowing remedial action to be taken. Update Compliance lets admins monitor protection status. You can see a video overview of these features below and there’s more detail on the Microsoft website.